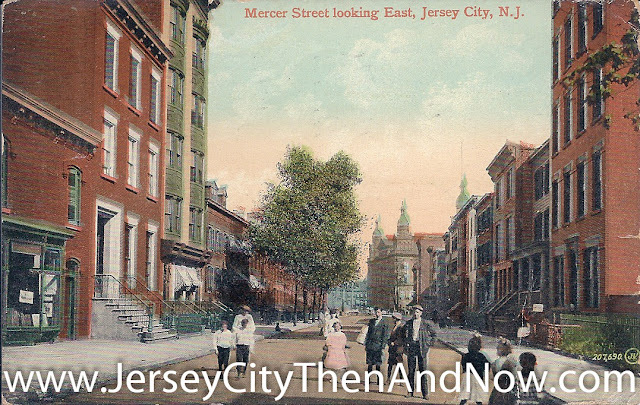 Jersey City has undergone several transformations during the past 200 years. 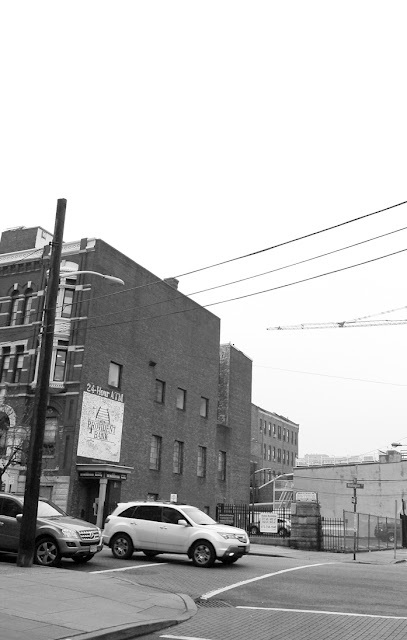 This site aims to visualize these fascinating changes through photos from then and now. 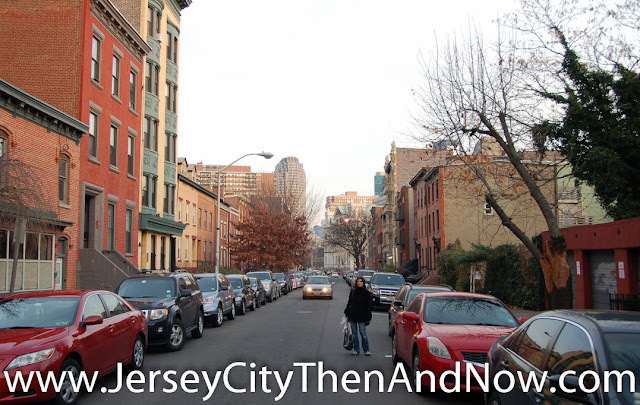 If you are a Jersey City old-timer, I would very much like to hear from you - please use the comments functionality and share your JC experiences of by-gone years. And if you have old photos that you can share, even better - please send them to me. With your approval I will share them on the blog. I hope you will enjoy the blog! 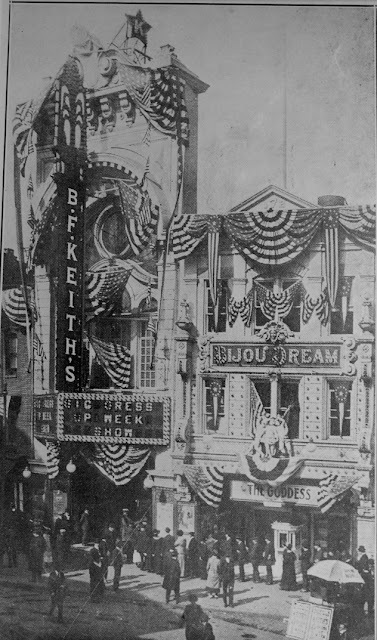 The tall building in the middle of the old picture, where there is a gap today, was an old theater that at around 1930 was called 'B. F. Keith Theater'. I'll feature it in a different post. 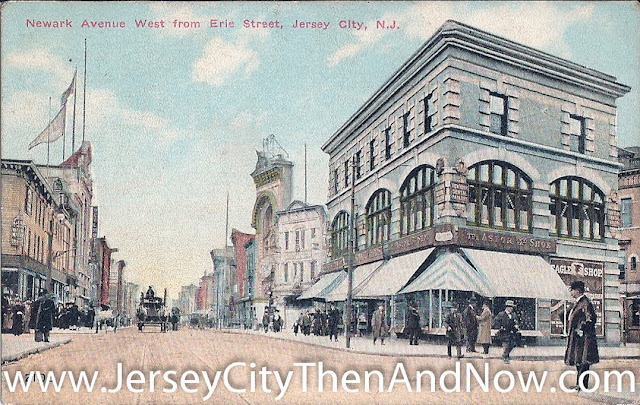 The building with the tall facade on the left in the picture later became a department store - it was called the Wonder Store in the 1950s/ 1960s. I'll try to feature it in a different post. 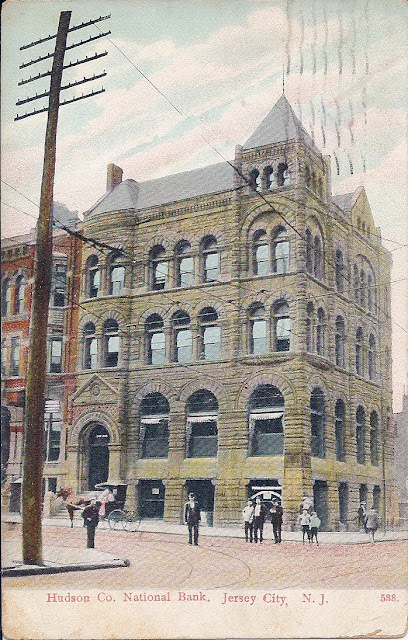 City Hall used to be much taller than the nearby buildings. 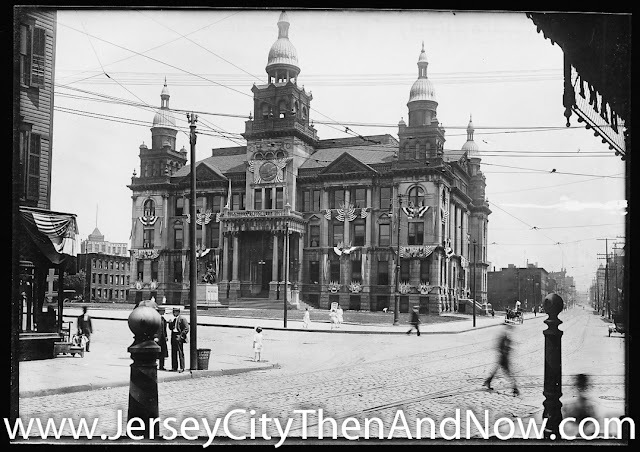 Actually City Hall itself, used to be taller than it is today - the copulas were taken down some time after WWII. 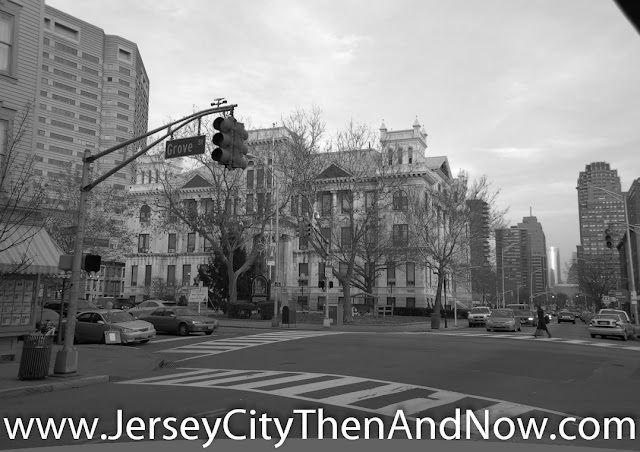 The combination of lower surrounding buildings and that it used to be taller, made City Hall look a bit more prominent than it does today. Today the the Mack-Cali building at Christoper Columbus Avenue dominates City Hall's backdrop. Maybe slightly off-topic, but the Mack-Cali building happens to be one of my least favorite buildings in downtown Jersey City - it is just a tall concrete bunker. It does not have any kind of retail / commercial space towards Christoper Columbus. That also creates a dead zone, in what could have been a lively street corner filled with amenities. Instead there is a parking garage - a waste of prime location. Hudson Co. National Bank, Jersey City, N.J.
As many other sites of historic, commercial buildings in Jersey City, the bank has been reduced to a parking lot. It seems as if the stock of residential buildings have fared better, e.g. 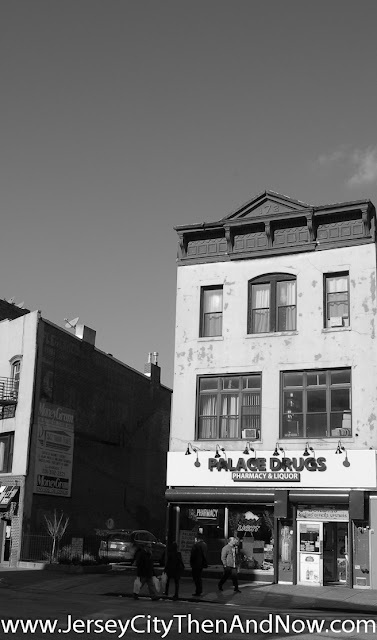 from Van Vorst Park to Hamilton Park. 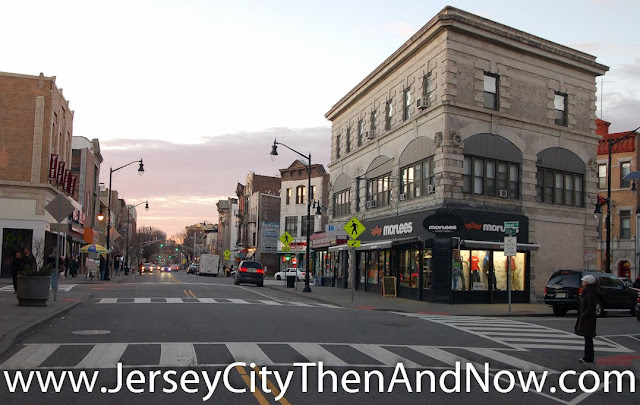 Copyright JerseyCityThenandNow.com. All rights reserved. Simple theme. Powered by Blogger.